Call or Text Listing Agent - Lori Caldwell - The Real Estate Center of Spearfish - 605-641-7529 for more information. 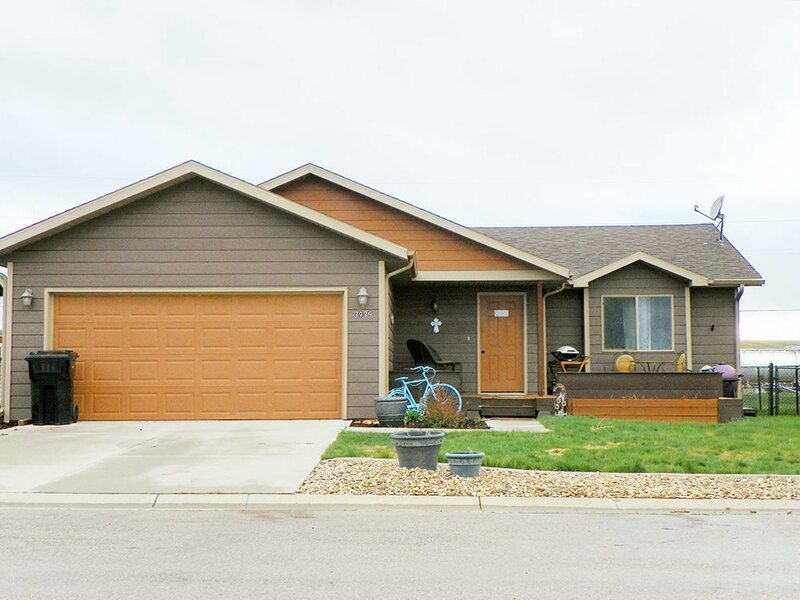 Beautiful 4 bedroom, 3 bath updated home in the newer Reserve on Higgins Creek Subdivision in Spearfish. As you drive up, you will notice the wonderful curb appeal complete with landscaping improvements, including rock, curbing, newer trees, and a wonderful deck with seating on the front of the house. Entering the home from the 2-car attached garage or front door brings you into an open floor plan with living room/dining/and kitchen with an island for easy eating and visiting with your family and guests. As you walk down the hallway, there is a bathroom, a spacious master bedroom with its own full master bath, and a second bedroom currently being utilized as an office. Downstairs you have two additional bedrooms, another bathroom, laundry, and a spacious family room. Garage Size: 400 Sq. Ft.